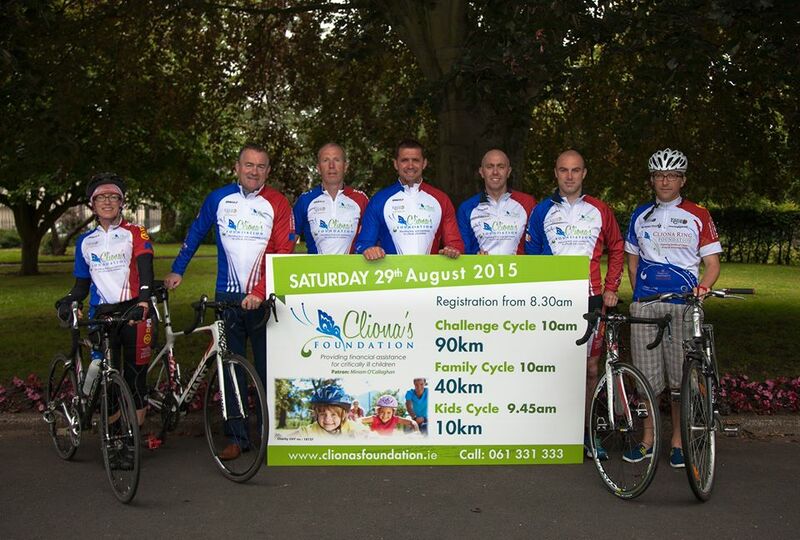 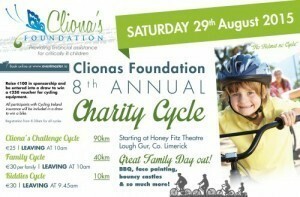 This will be the 8th annual cycle for Cliona’s and will take place on Saturday August 29th from the Honeyfitz Theatre in Lough Gur. With three routes including an 10km for kids and funsters, we have appealed to experienced cyclists with a challenging 90km route and a 40km less arduous family route for leisure cyclists. HELMETS MUST BE WORN! 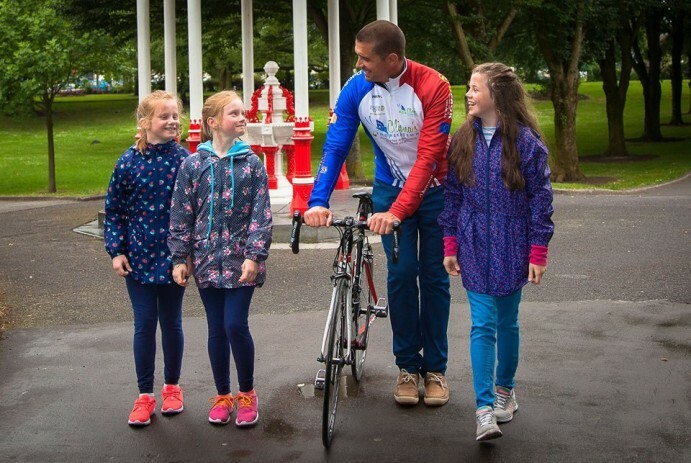 Following the cycle there will be a BBQ, face painting, music and a bouncy castle to keep the entire family entertained. 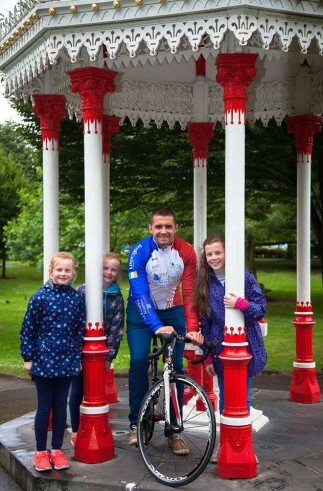 This years’ cycle is expected to attract large numbers with celebrity guests on the day. 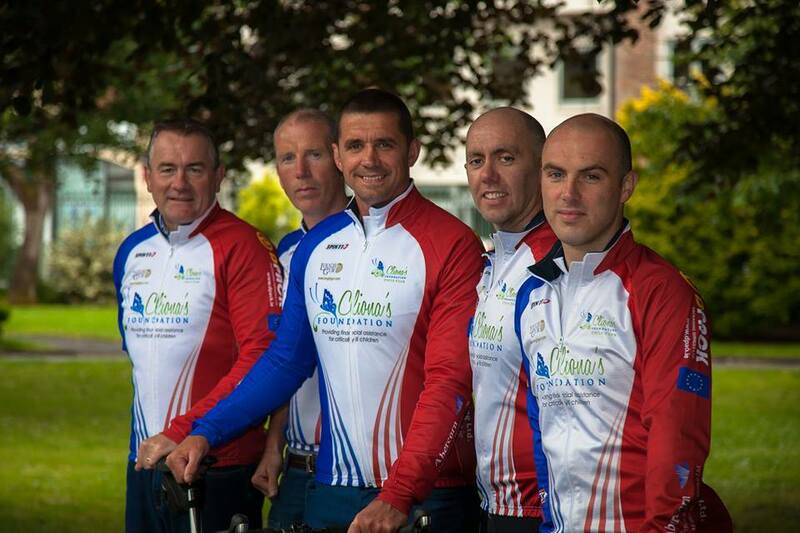 Don’t forget – If you raise €100 in sponsorship you will automatically be entered into a draw to win a €250 voucher for cycling equipment.